HH and I drove five hours through the night Sunday and Monday to Carbondale, IL to see the total solar eclipse of 2017 – which, by cosmic favor, will also be blessed to have the total solar eclipse in its sky in 2024 as well. It took 13 hours to get home. Thirteen. Hours. But it was worth it. It’s rare when we see something that we can’t sufficiently describe – unless we are Annie Dillard. And it’s even rarer when we see something we’ve never ever seen before. 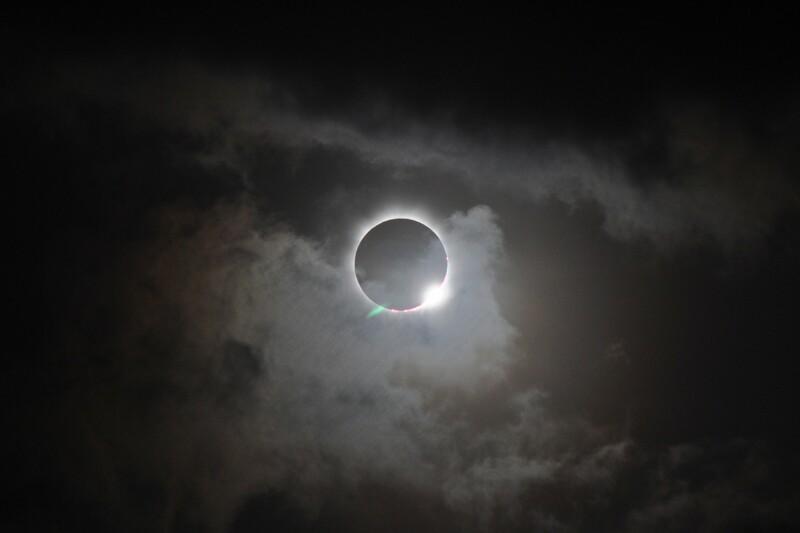 Those are the holiest of moments: the first seconds of a child’s life, the last seconds of a beloved parents or spouse’s life, a total solar eclipse which light both high in the sky and all around the souls observing it. I have never seen anything like that before. A day later, I realize I need to process it a bit more. It was as if I was in the presence of something holy. Especially when we see so many ordinary and unholy things, it takes a while – at least for me – to fully grasp it when I’ve seen something so extraordinary. It’s not something I could fully imagine before yesterday, but it was so cool that I’d like to see it again. Sign me up for Carbondale 2024. Human Beings are longing for this kind of holy moment, I believe, even if we can’t put our finger on this deep desire. We are so distracted or exhausted or depressed that we forget that Holy is something we can experience. I have no idea what it was like for a bunch of people to witness a paralytic man being lowered through the roof (i.e. was it even okay to put a hole in somebody’s roof even for the sake of the Gospel?) much less observing him walk for the first time. But I believe with all my heart that if we expect such miracles, they happen more often in our presence. Preparing to experience awe is not something I do everyday. But I’d like to do it more often. What I’ve seen in Jesus’ Church over my life has included some breathtakingly holy moments. Maybe preparing God’s people to experience awe is one of the things we are called to do more often. And when we expect awe, we experience more of it. PS – My appliance repair professional was just here to fix our icemaker and we just had an awe-filled conversation about his childhood. I think I’ll just go have a little cry and pray now. God is unspeakably good. Image is from Southern Illinois University in Carbondale taken yesterday. Jan – I have similar thoughts and feelings. I’ll be preaching about this holy moment and likely mention your experience.